The new year slipped quietly by as we bade farewell and good riddance (as far as some of us are concerned!) 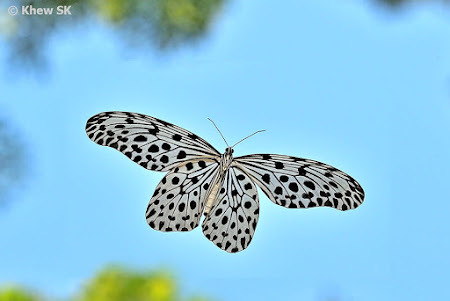 to 2018. 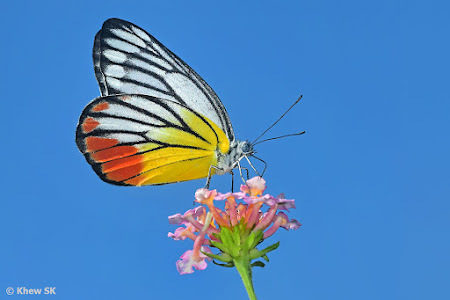 New Year resolutions are made and book-marked; some filed away whilst others are pursued with enthusiasm and determination. 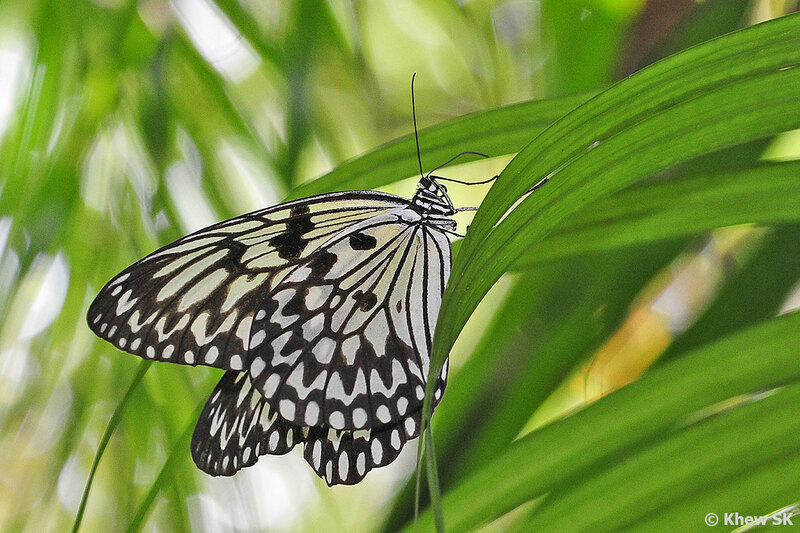 Another year starts and we look ahead for brighter days - for our families, work, and especially our butterflies. 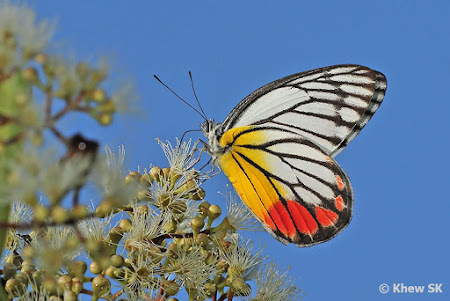 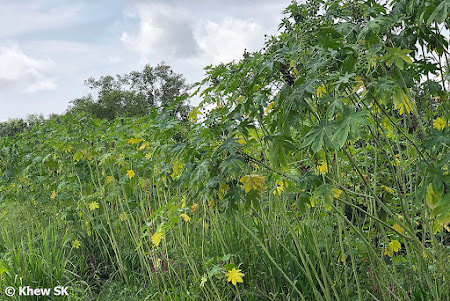 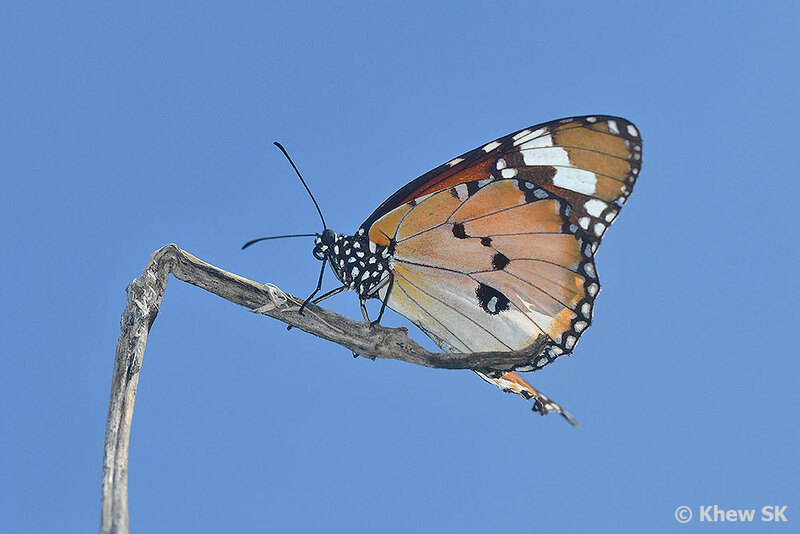 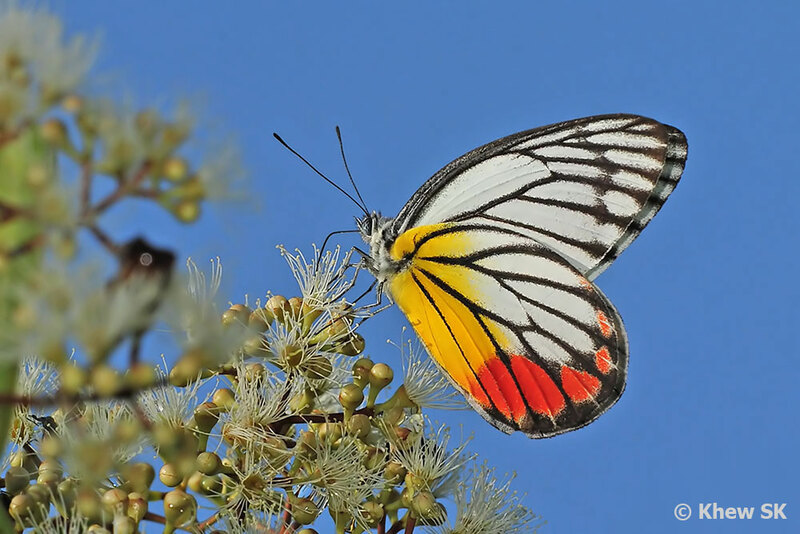 Strangely, it has been a similar situation for butterflies globally - a consistent comment from enthusiasts and butterfly-watchers that the numbers of butterflies seem to be dwindling all over the world. Or at least not as many as in previous years. 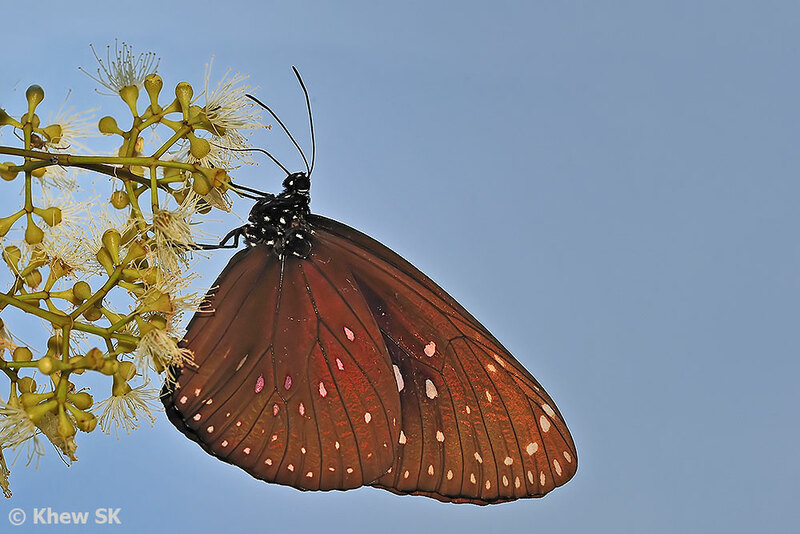 Just last week, a report from the Xerces Society highlighted that the overwintering Monarch butterfly population in California plunged by 86% ! 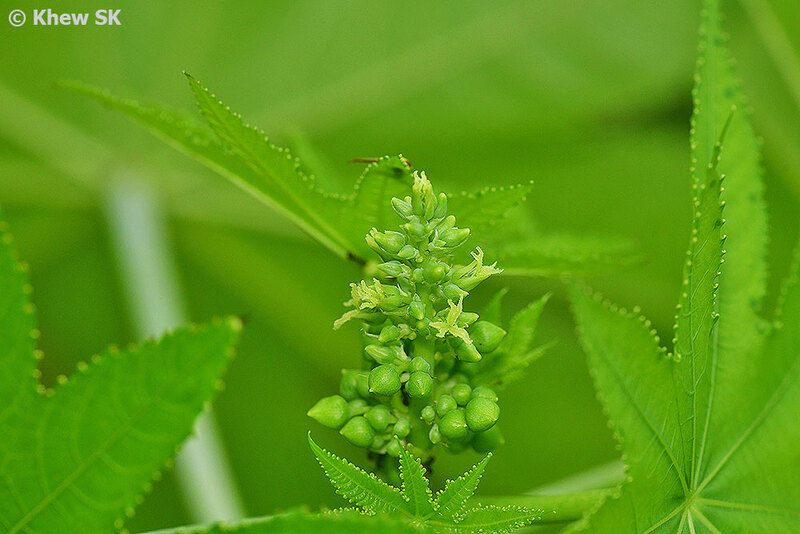 Let's hope that the butterfly populations recover naturally. 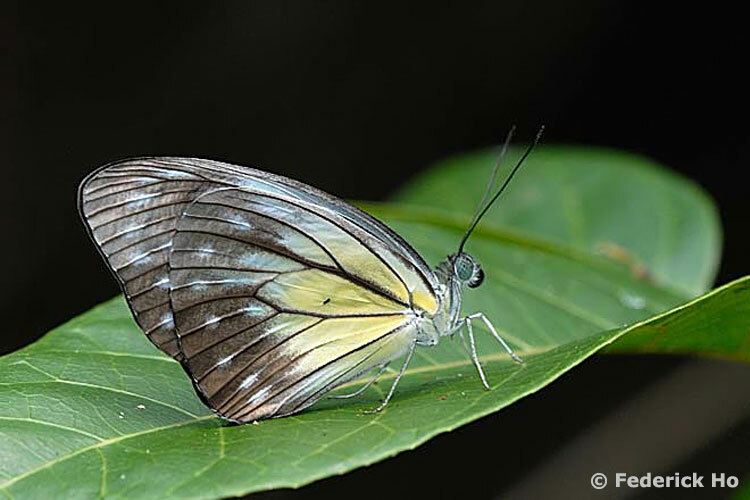 But with intensive development and thoughtless destruction of habitats, the prognosis is pretty bleak. 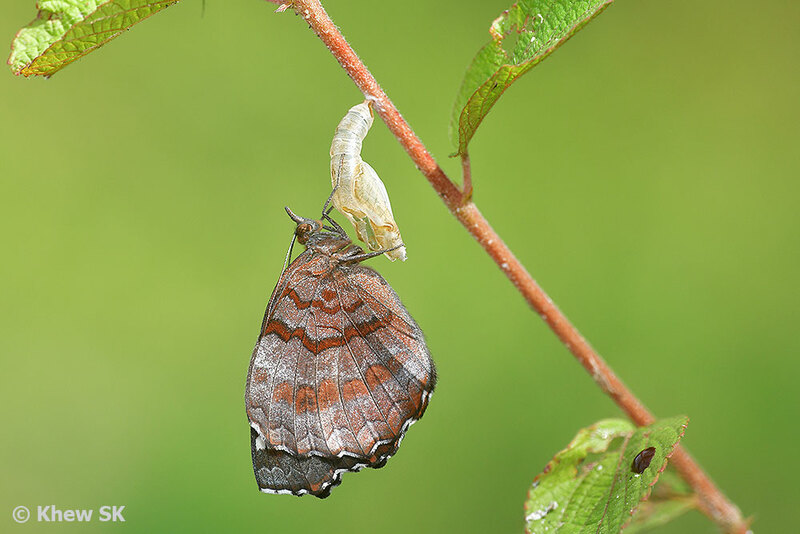 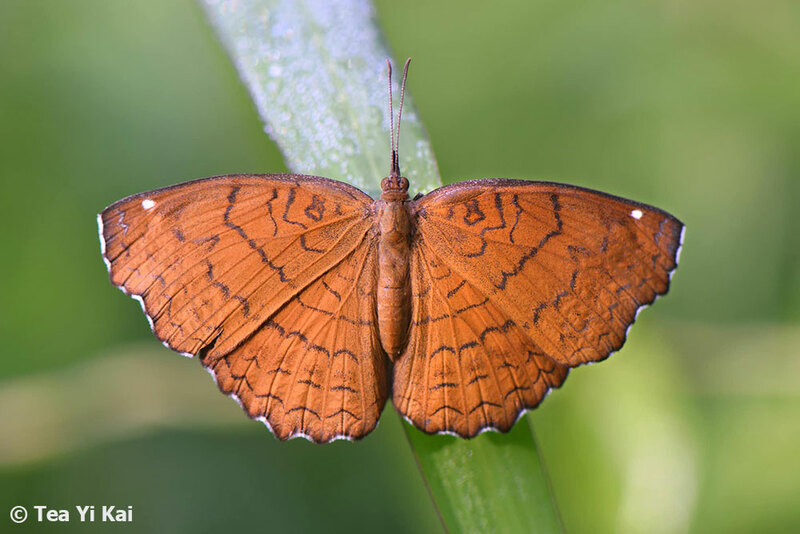 Conservation efforts are few and far between, even though there are individuals who are still working hard behind the scenes to make a difference to stem the downward trends of butterfly diversity and numbers. 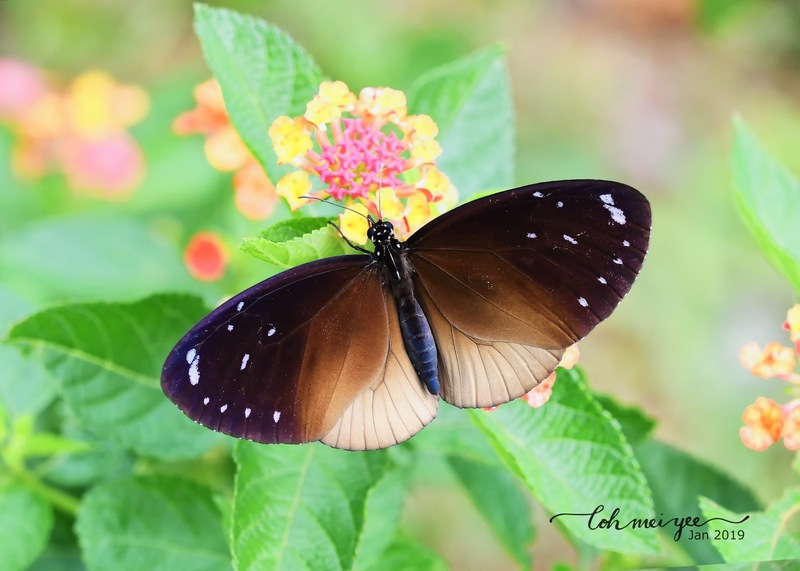 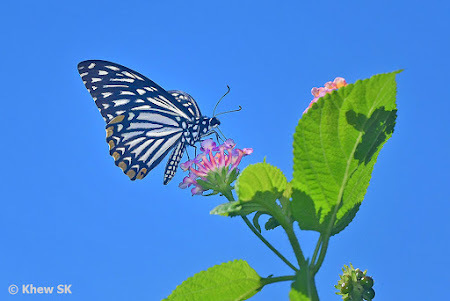 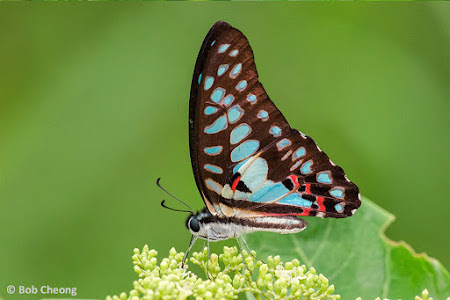 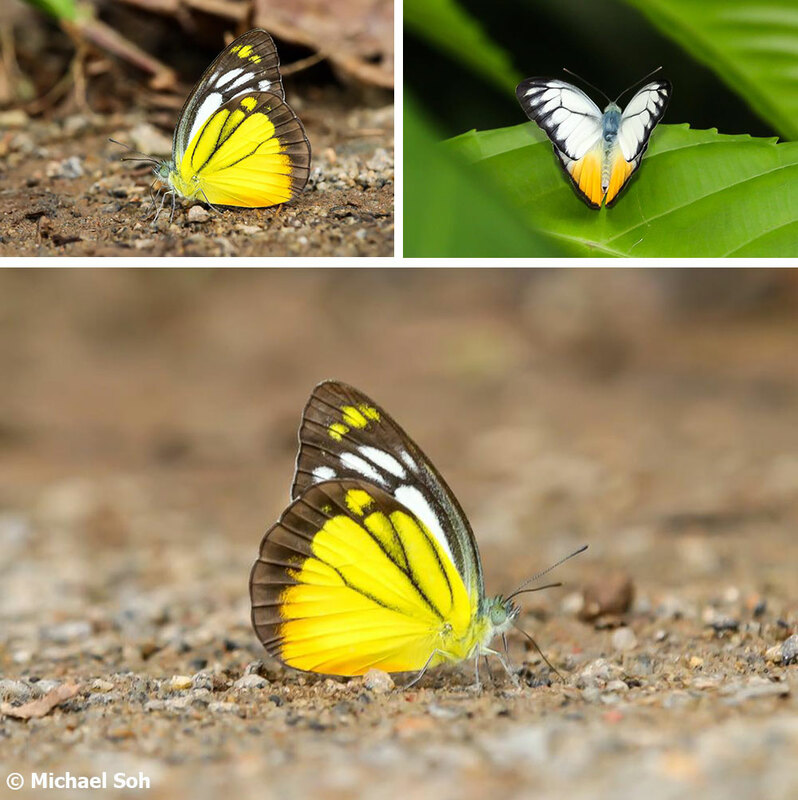 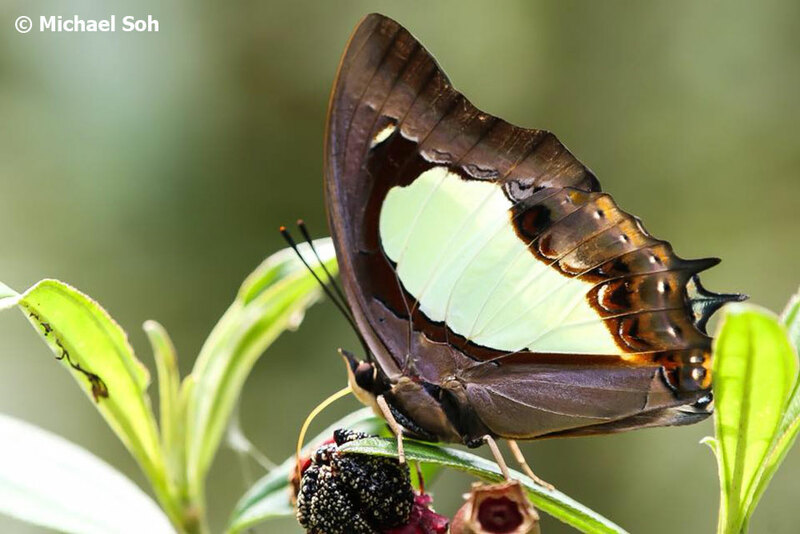 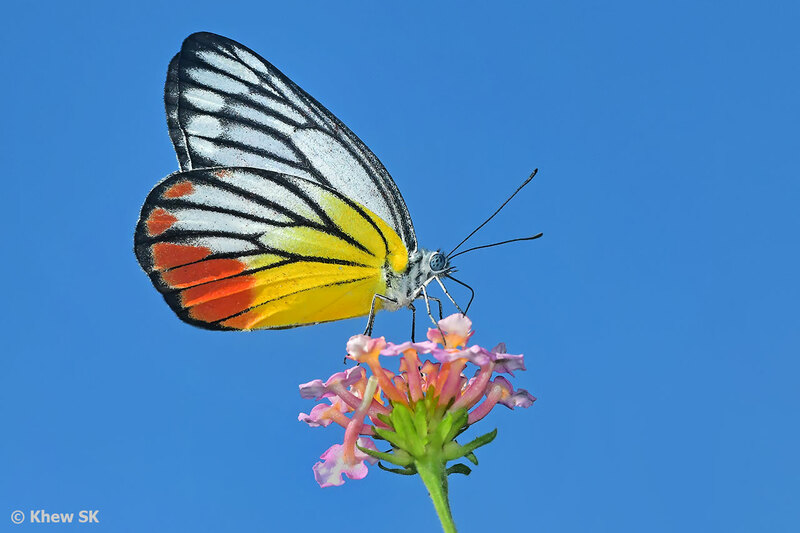 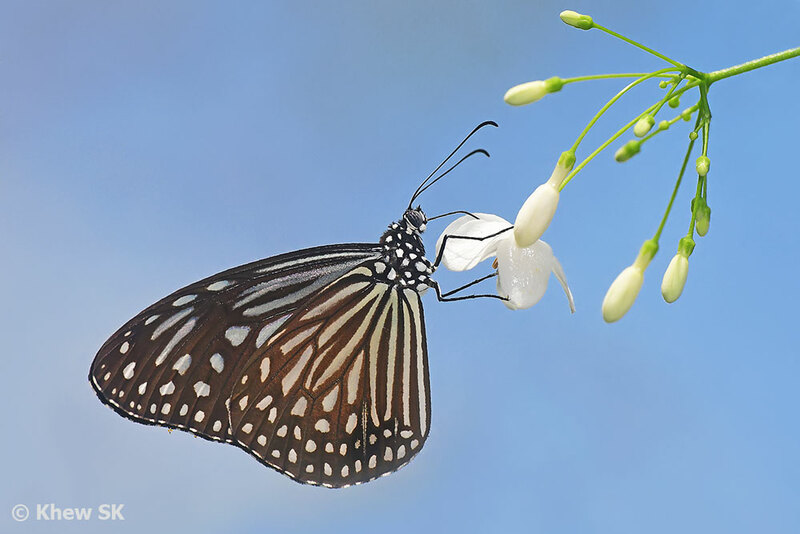 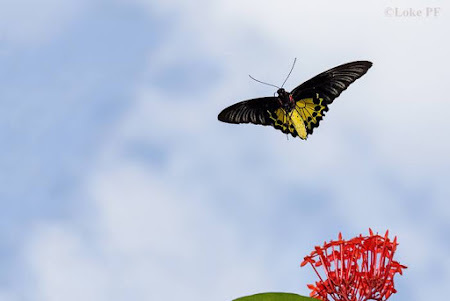 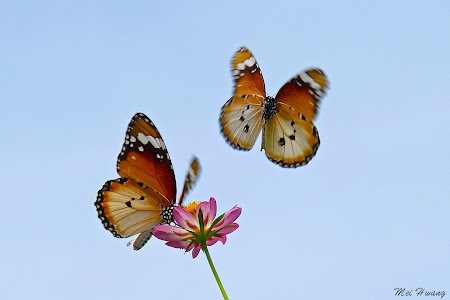 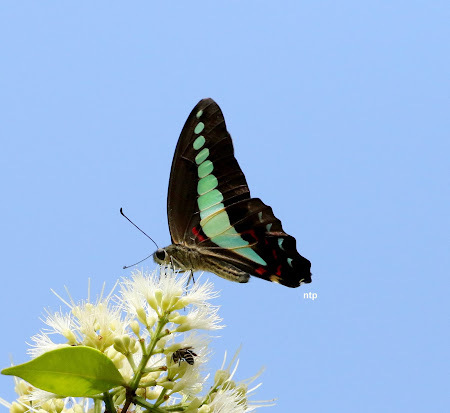 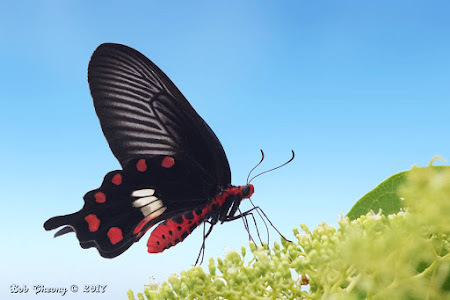 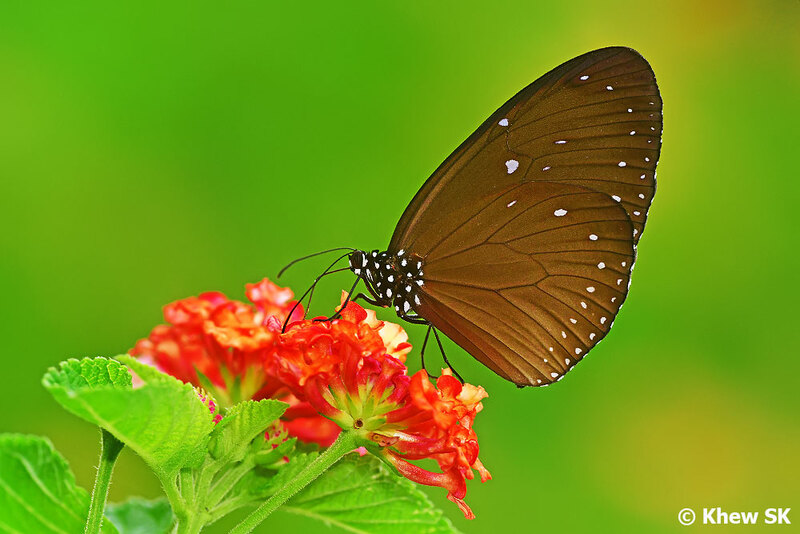 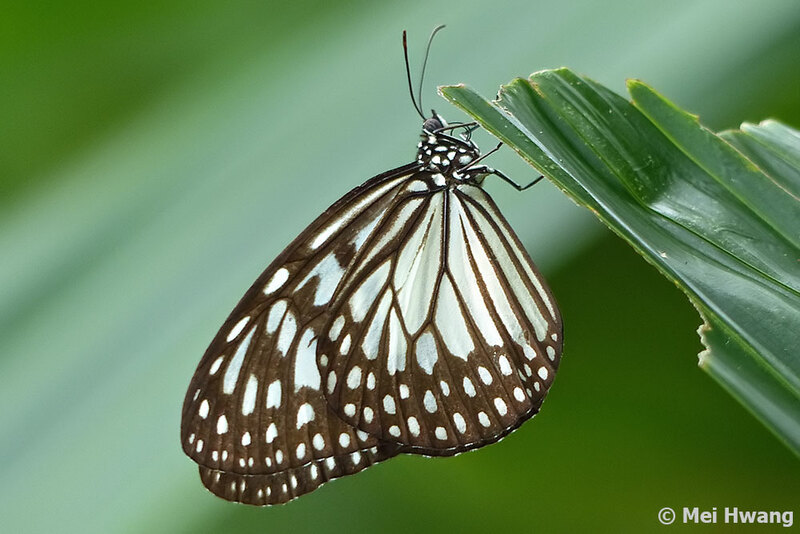 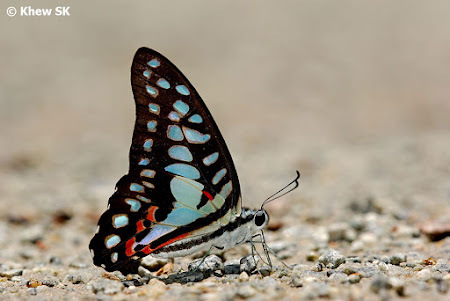 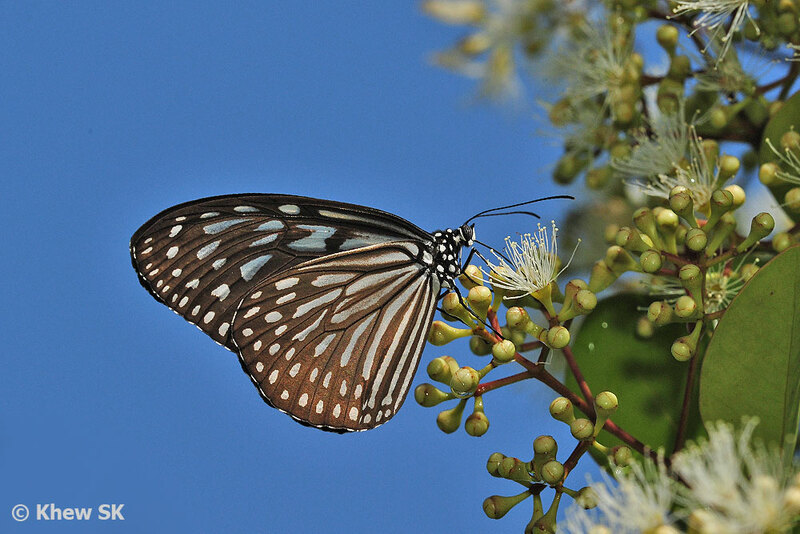 In Singapore, there are small groups of enthusiasts who are helping to post butterfly photos on social media in an attempt to showcase these beautiful insects to the world. 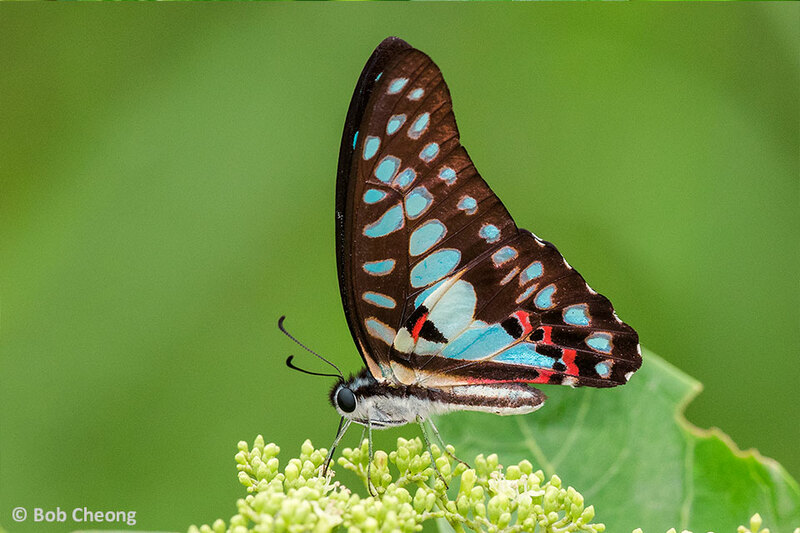 Every small attempt to educate and get more people to appreciate butterflies would be a step forward in helping to conserve them. 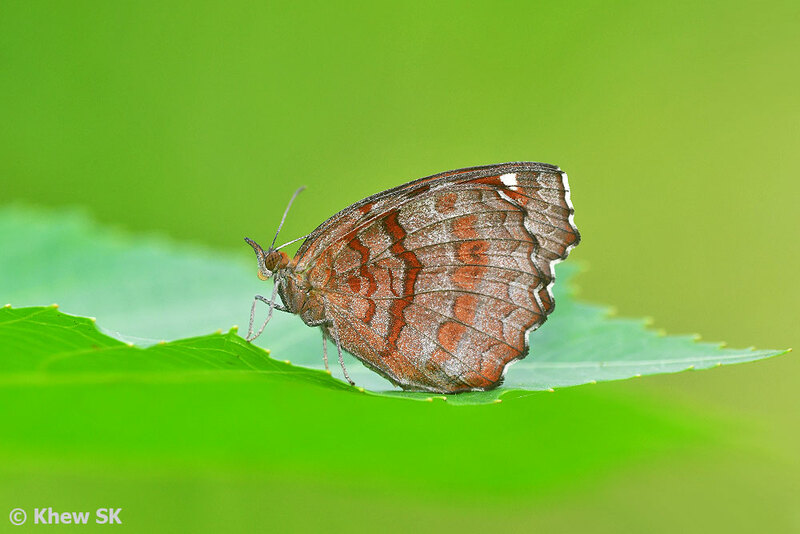 Those of us who are working with the communities to set up butterfly gardens, and with the National Parks Board to create butterfly-friendly habitats are doing our bit to try to conserve butterflies for future generations to enjoy. 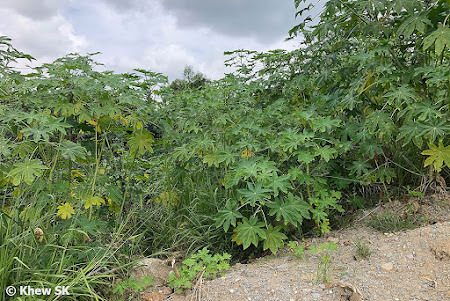 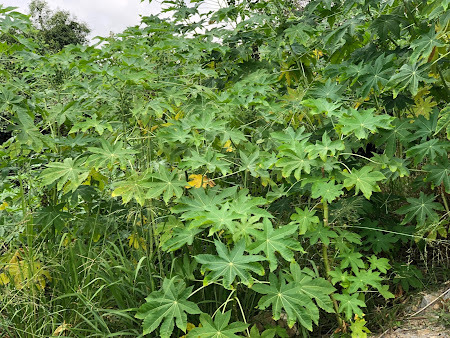 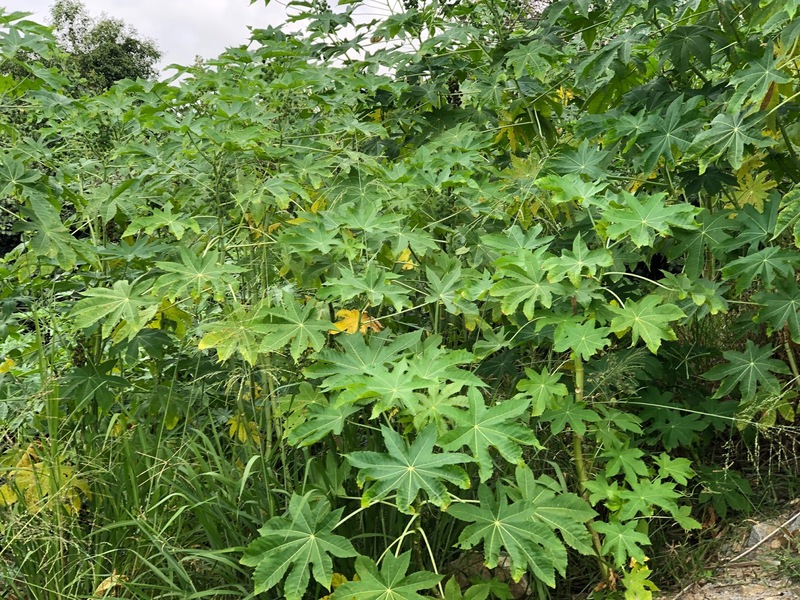 But it is a constant battle with infrastructural development on our little land-scarce city state and the ever-mounting pressures for competing land use. 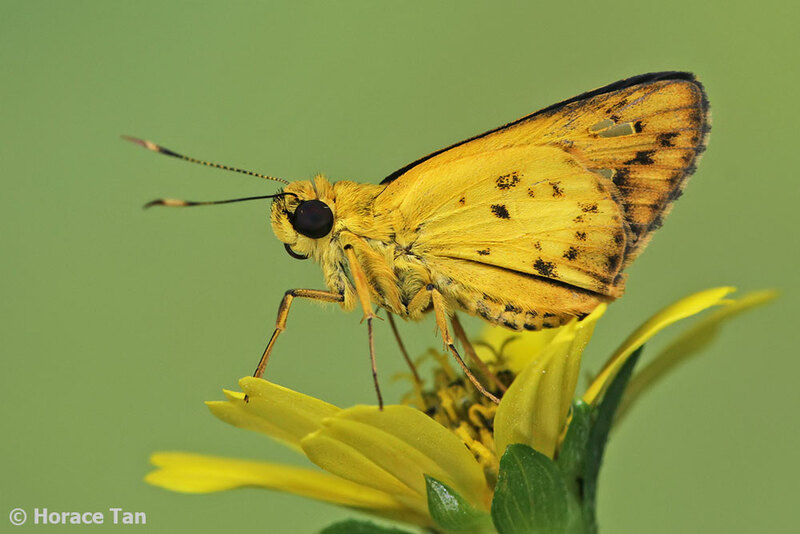 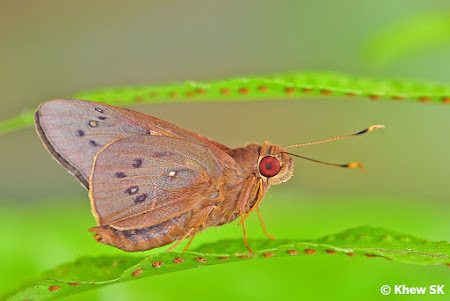 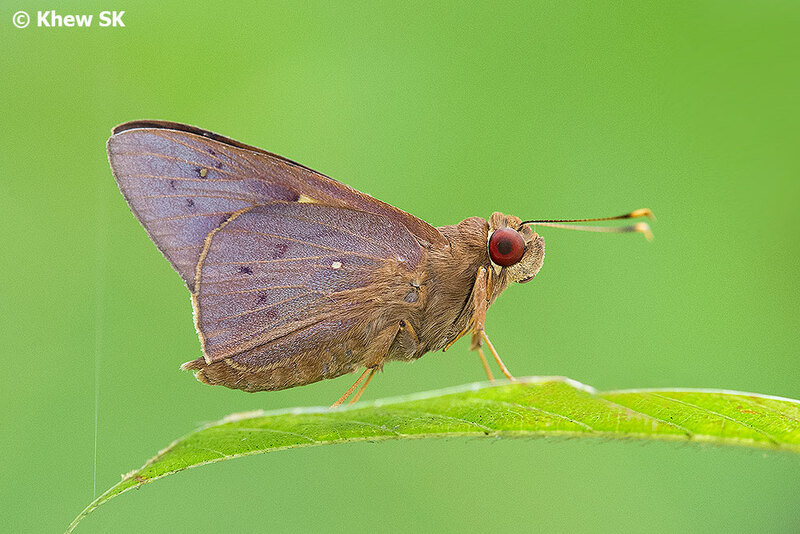 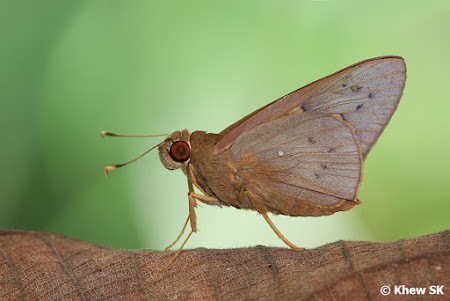 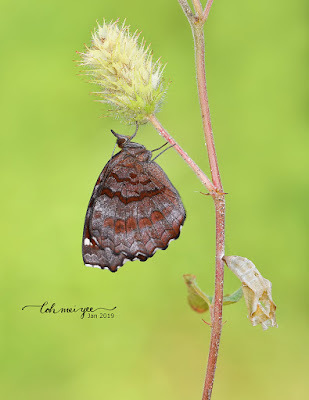 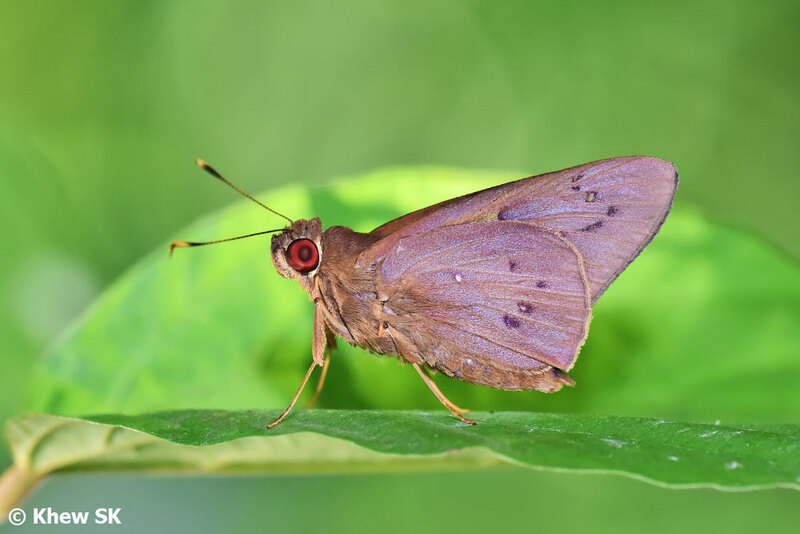 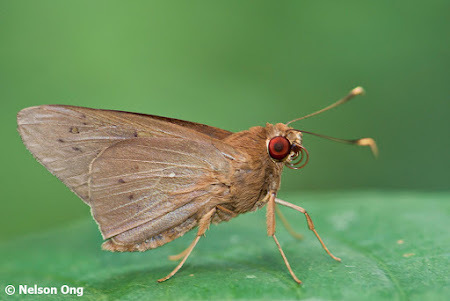 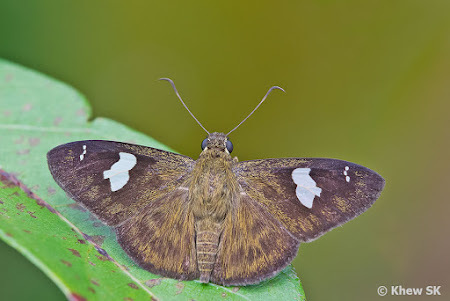 Our first Butterfly of the Month for 2019 is the humble and low-key Hesperiidae, the Coconut Skipper (Hidari irava). 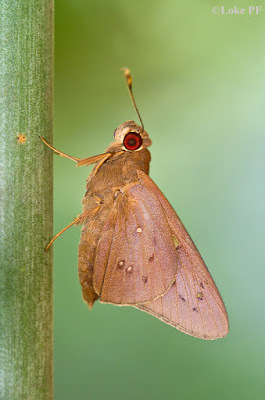 Even the common English name is simple and straightforward, that it is a Skipper and the fact that its caterpillars feed on the leaves of the Coconut palm (Cocos nucifera). 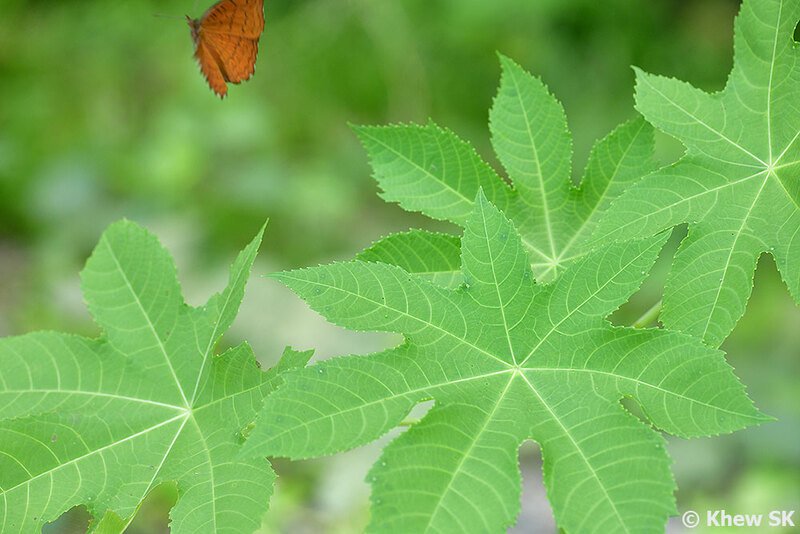 It is one of the species of butterflies that is consistent wherever it occurs and the scientific name stops at the species level. 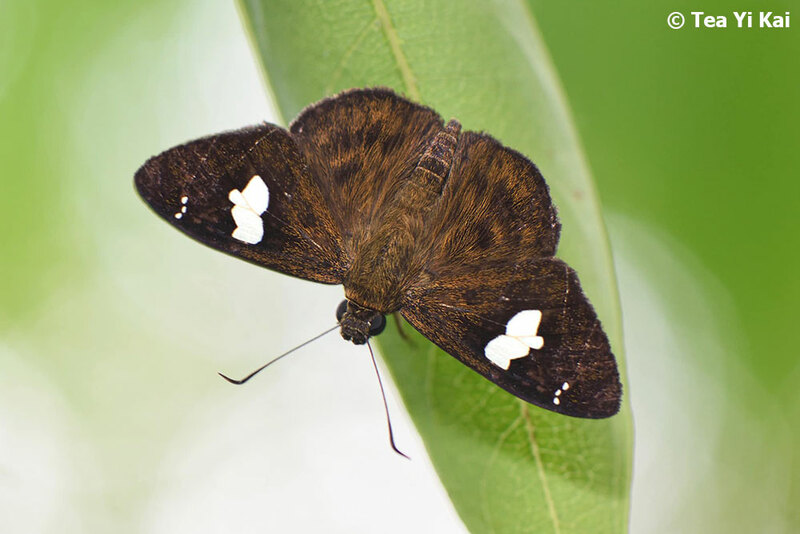 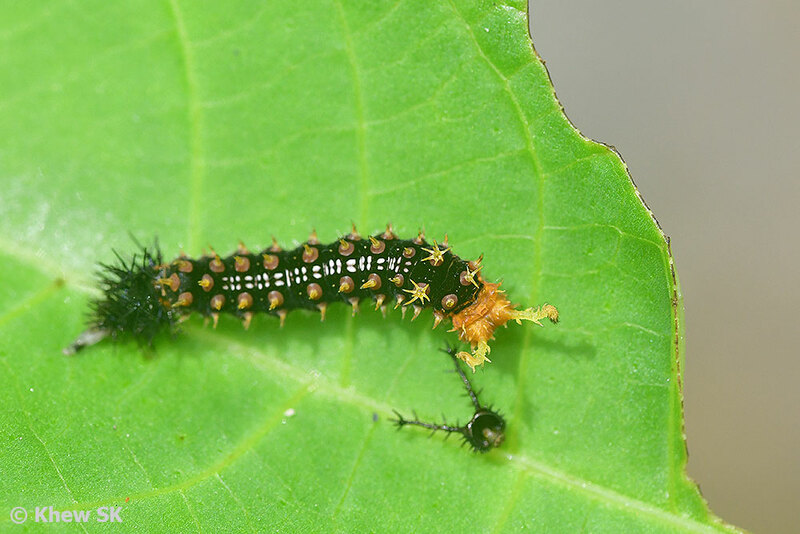 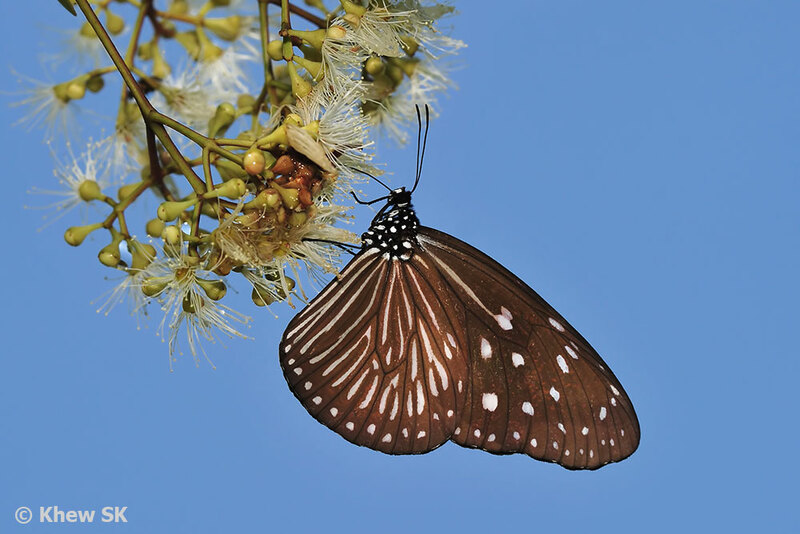 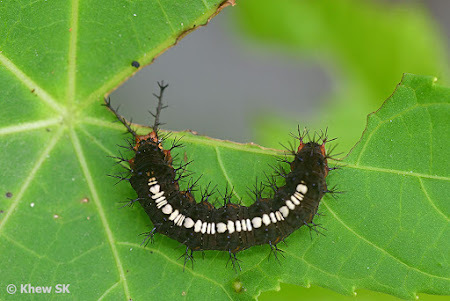 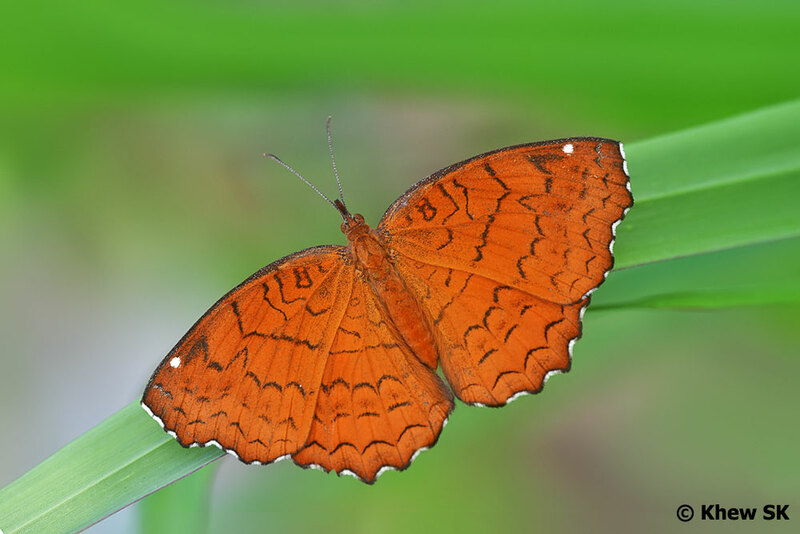 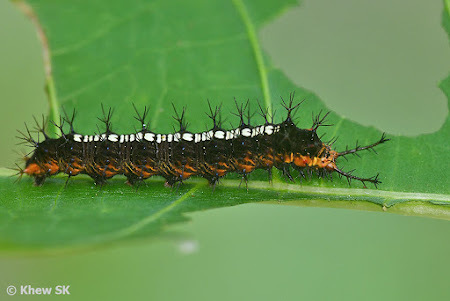 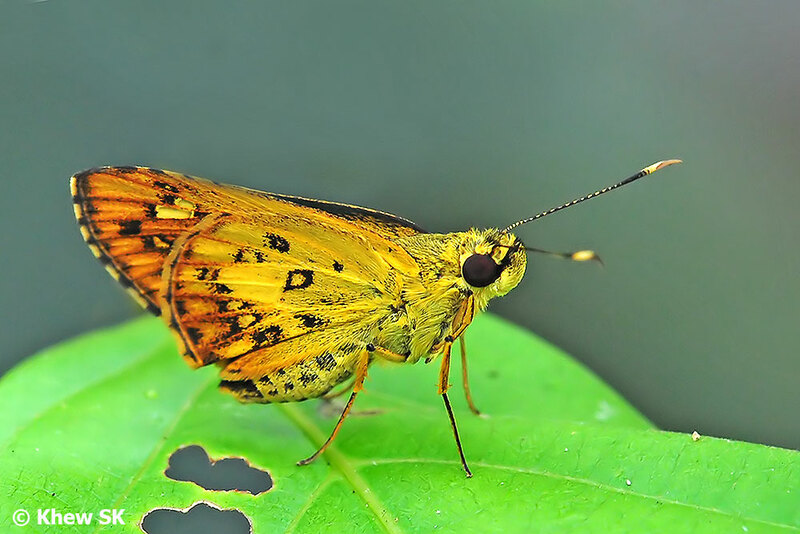 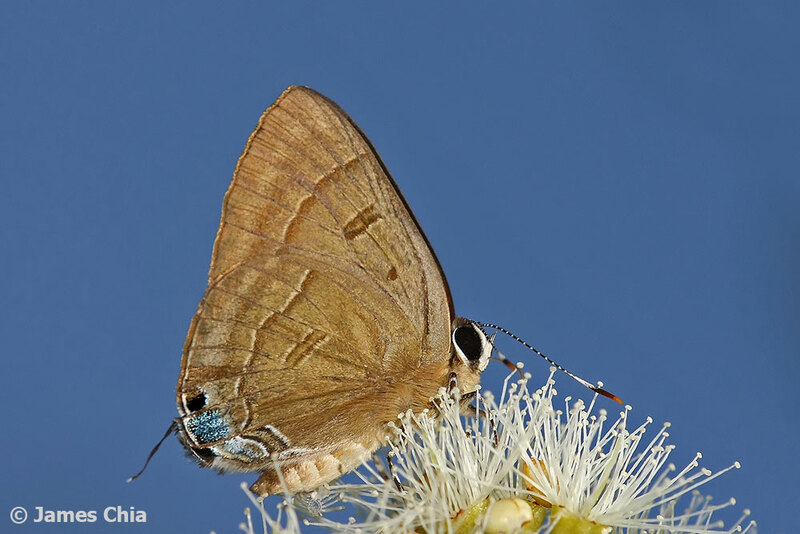 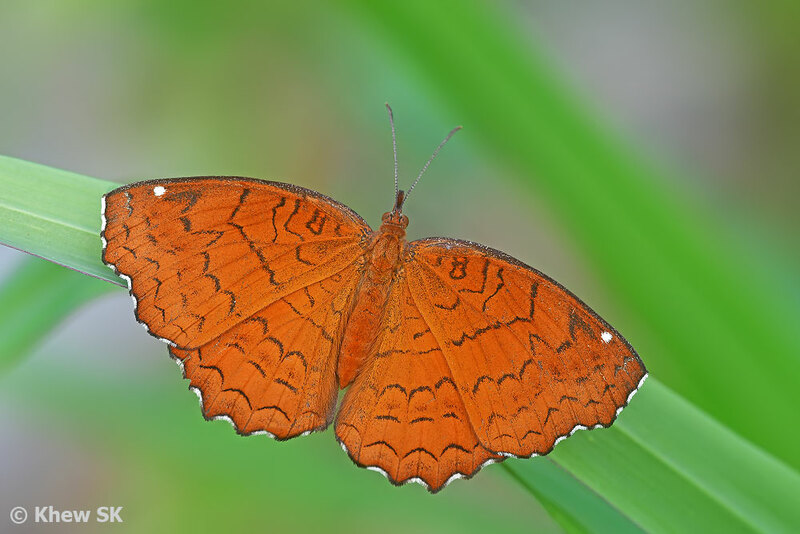 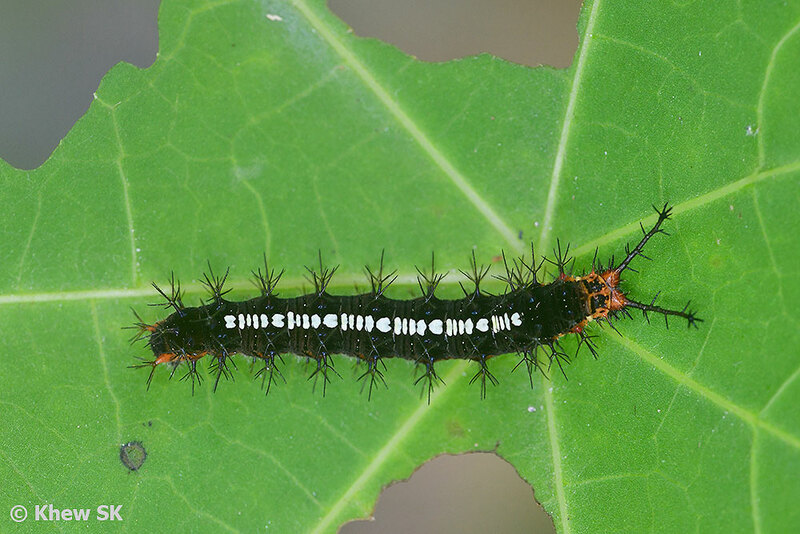 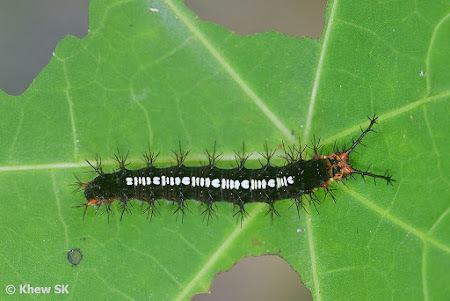 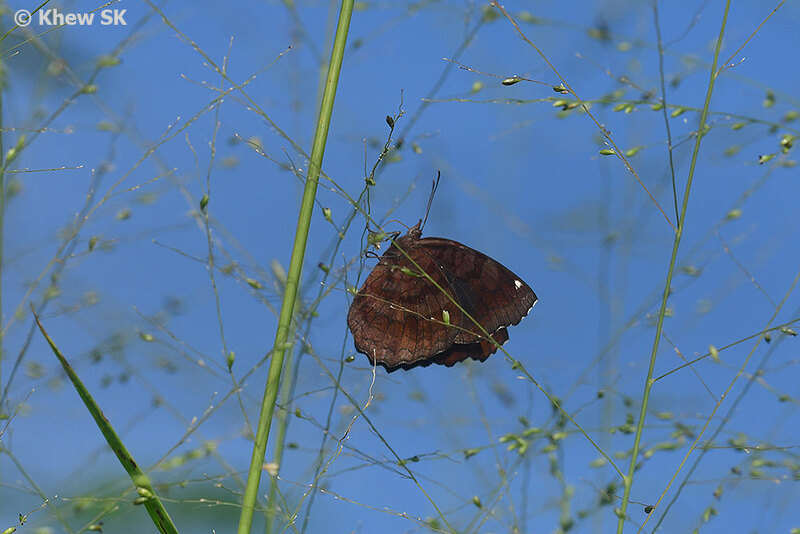 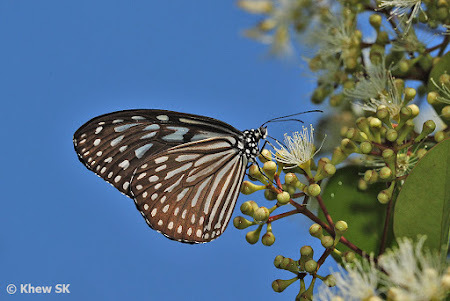 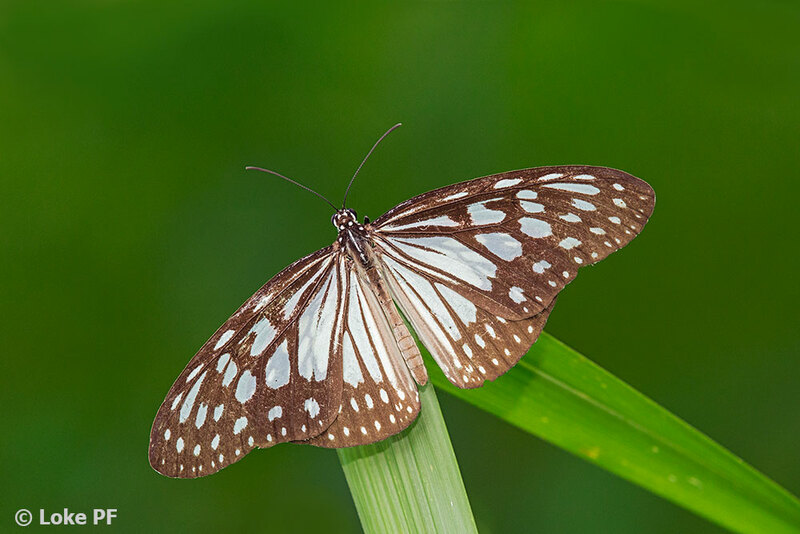 The Coconut Skipper occurs in urban parks and gardens, as well as in forested areas, particularly where its host plant, the Coconut Palm can be found. 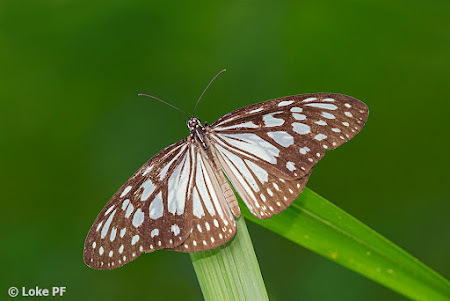 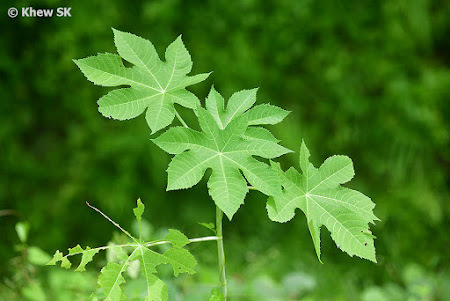 The species is a fast flyer but can often be observed perched on the tops of leaves or branches with its wings folded upright. 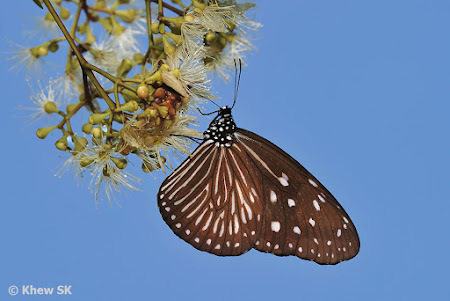 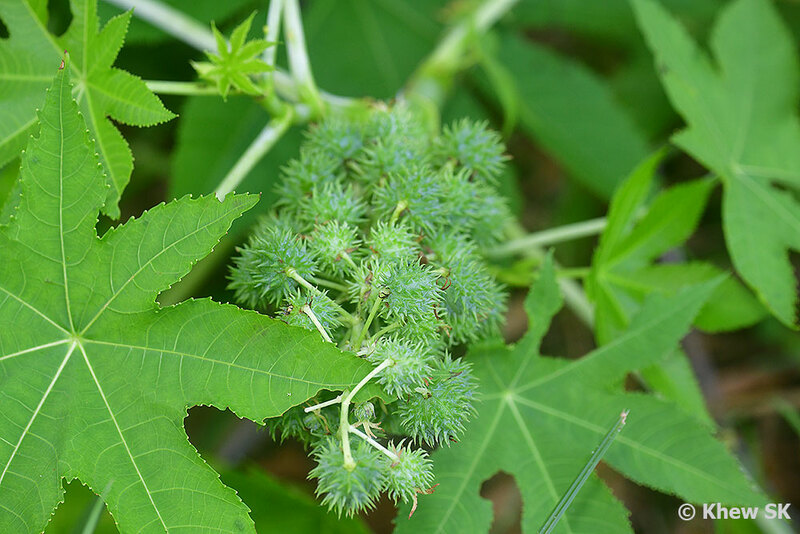 The species is crepuscular, and when seen in the daytime, it is usually found at rest amongst the shrubbery in deep shade. 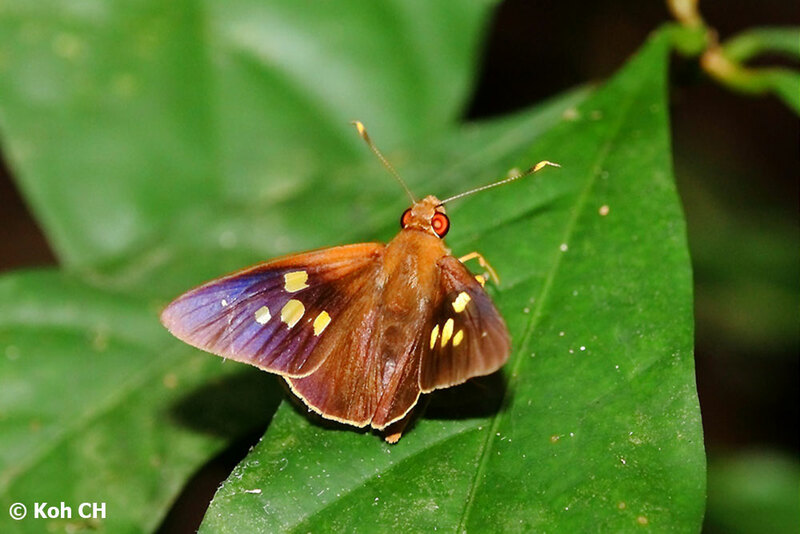 The upperside of the Coconut Skipper is a rich dark brown with pale yellow hyaline spots on the forewing. 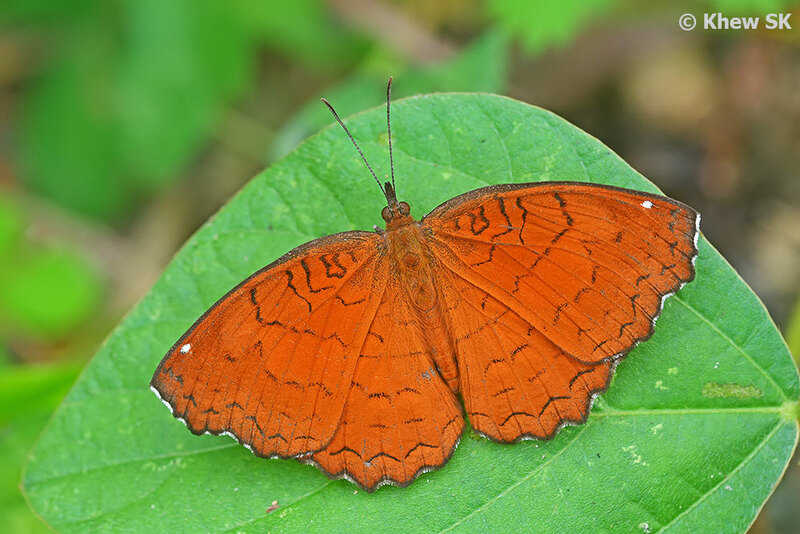 The upperside of the hindwing is usually unmarked. 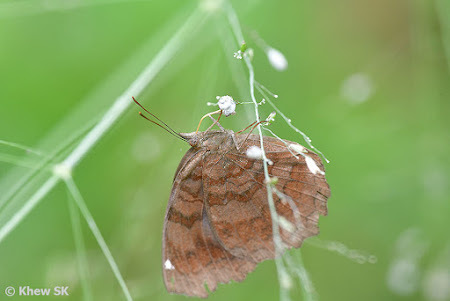 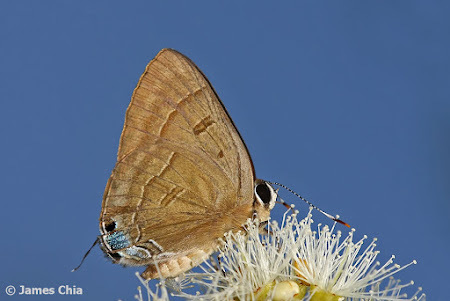 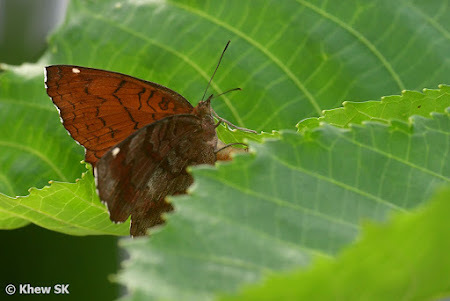 The underside is predominantly pale buff brown with a faint purple wash in a sidelight. In pristine individuals, the purple sheen can appear quite prominent when photographed with a flash. The hindwing has a few post-discal spots and a white spot just above the cell. 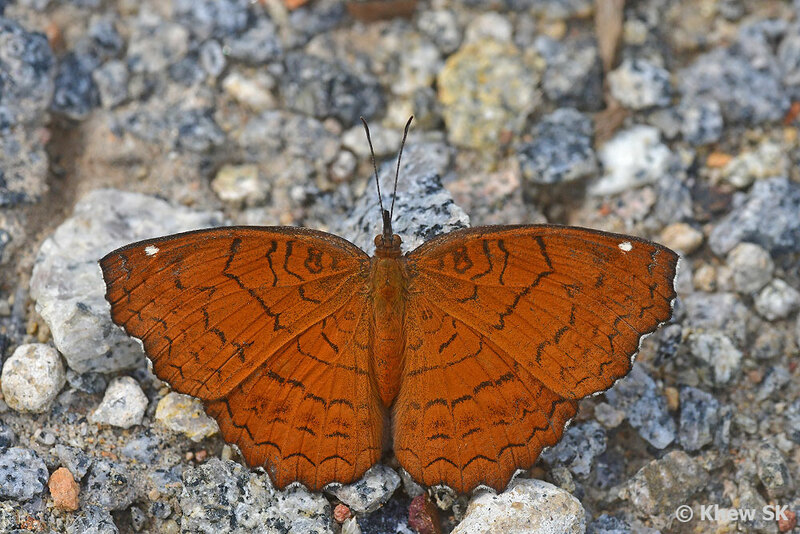 The forewing below has a series of dark sub-apical spots. 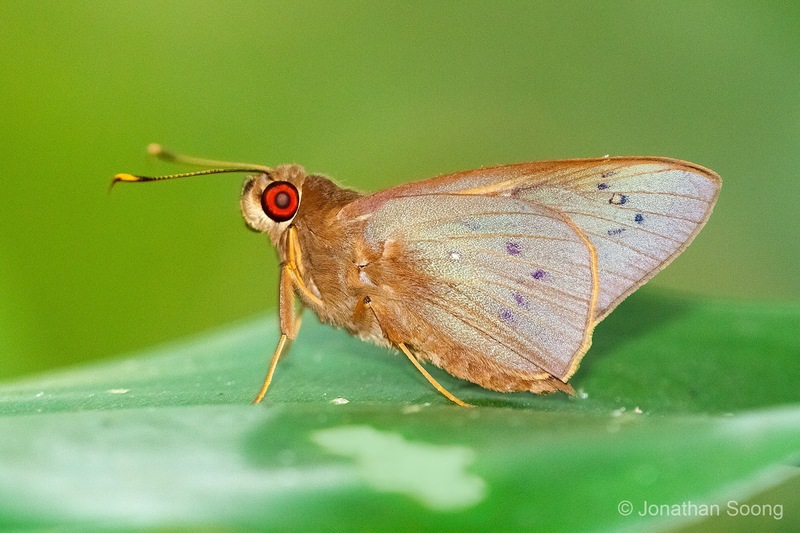 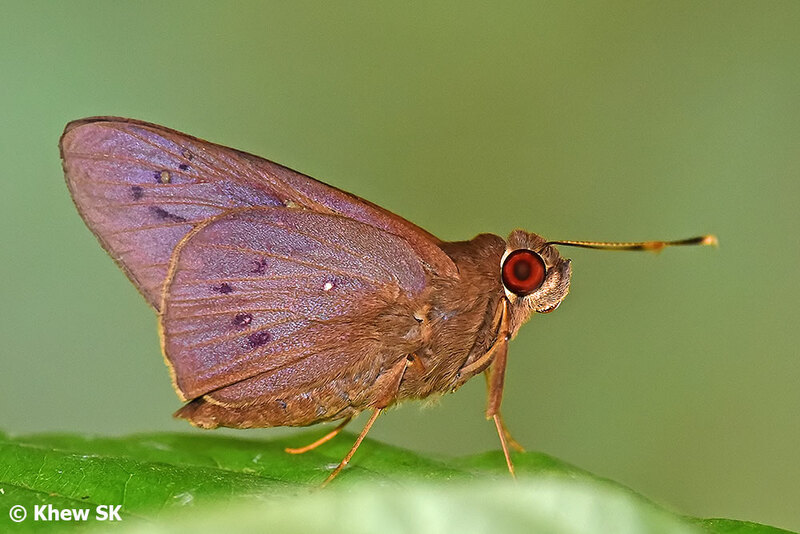 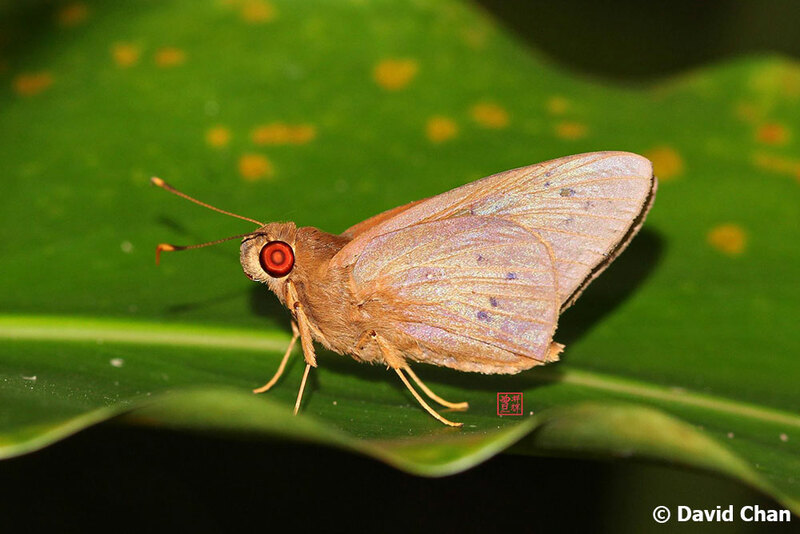 The Coconut Skipper has deep red eyes and the apiculus and part of the club of the antennae is yellow. The cilia on fresh individuals is pale yellow on both wings. 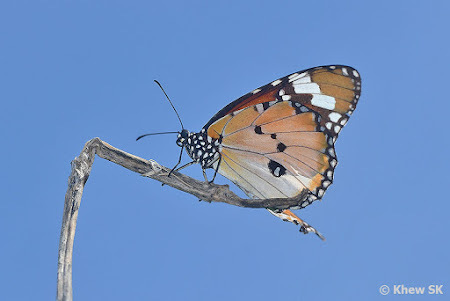 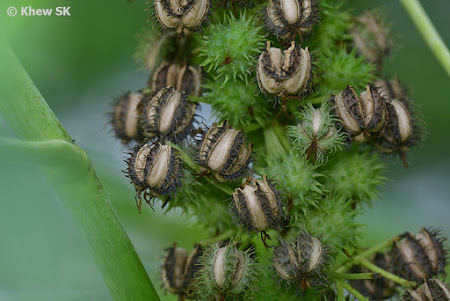 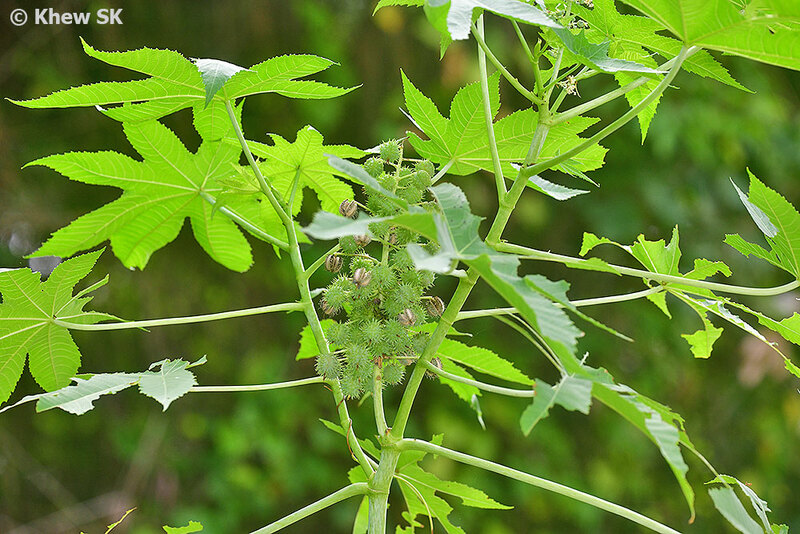 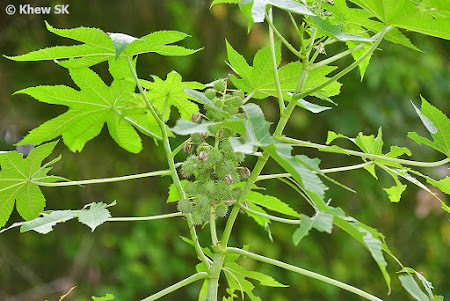 All the six legs are developed, although when some individuals are perched, their forelegs are held tightly against its thorax, appearing that it is only standing on four legs.